Wings of Lebanon Boeing 737-500 lsf Africa Charter for the FAIB Boeing 737-500 FSX Logolight base models. These are FSX textures only. The FAIB Boeing 737-500 Logolight FSX base model is required. Wings of Lebanon Boeing 737-500 lsf Africa Charter for the FAIB Boeing 737-500 FS9 Logolight base models. These are FS9 textures only. The FAIB Boeing 737-500 Logolight FS9 base model is required. Wings of Lebanon Boeing 737-400 opb Getjet Airlines for the FAIB Boeing 737-400 Logolight FSX base model. These are FSX textures only. The FAIB Boeing 737-400 Logolights FSX base model is required. Wings of Lebanon Boeing 737-400 opb Getjet Airlines for the FAIB Boeing 737-400 Logolight FS9 base model. These are FS9 textures only. The FAIB Boeing 737-400 Logolights FS9 base model is required. Wings of Lebanon Boeing 737-300 opb Hyperion Aviation for the FAIB Boeing 737-300 FSX Logolight base models. Wings of Lebanon Boeing 737-300 opb Hyperion Aviation for the FAIB Boeing 737-300 FS9 Logolight base models. Wings of Lebanon Boeing 737-300 opb Getjet Airlines for the FAIB Boeing 737-300 FS9 Logolight base models. Wings of Lebanon Boeing 737-300 opb Getjet Airlines for the FAIB Boeing 737-300 FSX Logolight base models. Wings of Lebanon Boeing 737-300 opb Star Air Cargo for the FAIB Boeing 737-300 FSX Logolight base models. Wings of Lebanon Boeing 737-300 opb Star Air Cargo for the FAIB Boeing 737-300 FS9 Logolight base models. Wings of Lebanon for the FAIB Boeing 737-700 Winglets FSX base model. These are FSX textures only. The FAIB Boeing 737-700 Winglets FSX base model is required. Wings of Lebanon for the FAIB Boeing 737-700 Winglets FS9 base model. These are FS9 textures only. The FAIB Boeing 737-700 Winglets FS9 base model is required. Wings of Lebanon Airbus A319-100 CFM FS9 for the FAIB A319-100 CFM FS9 base model. 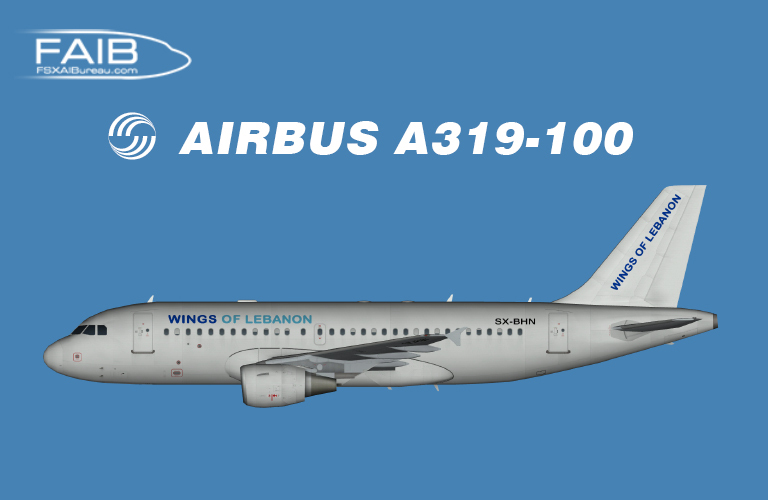 Wings of Lebanon Airbus A319-100 CFM FSX for the FAIB A319-100 CFM FSX base model.